Best price I could find on the internet. My husband's favorite - great valentine's gift. Treat yourself to a scent that matches your self-confidence and sophistication with this Legend eau de toilette spray from Mont Blanc. The robust fragrance opens with refreshing notes of exotic verbena, bergamot, and pineapple leaf that give way to the rich scents of geranium, rose, apple, and coumarin, creating a vibrant, long-lasting, and irresistible fragrance. DO NOT BUT THIS. IT'S FAKE. Scent was gone in an hour even after spraying for 6-7 times. I have more compliment from women when I use this Eau de Toilette. In fact, women apologia in being so bold. The cost of this has become out of site. The price on overstock was outstanding. I purchased two. The delivery was outstanding. I purchased this smaller bottle of Legend by Mont Blanc so my husband could try it. We both love this one. Excellent! Purchased this item for my son-in-law. He had never used Mont Blanc before and was very pleased with the fragrance. Stated he definitely would purchase Mont Blanc in the future. This was a purchase for my boyfriend, it smells great, he gets compliments on it constantly. He likes to switch up his scent from time to time to change things up but is on his 4th bottle of it now! 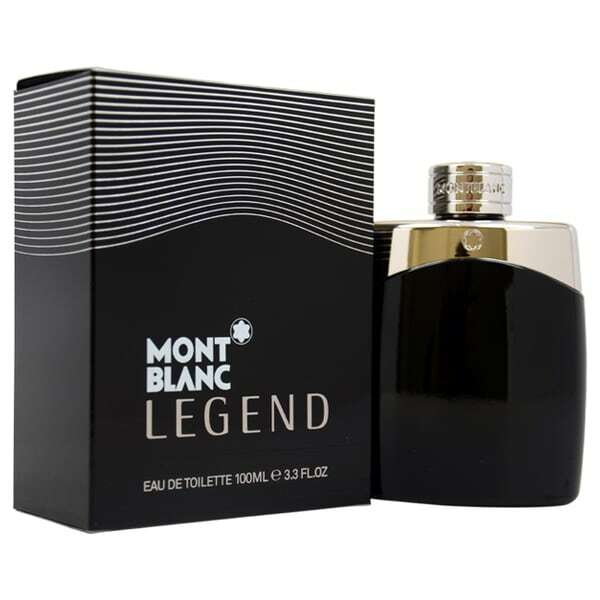 Mont Blanc Legend Intense is the a newer release but this one is a great "go-to" and the prices for both is the price of one bottle at the regular in store price.. Good luck!! This toilette spray was a Father's Day gift for my husband and he loves this mild yet aromatic scent which lasted throughout the day. This smell is one of our favorites. I’ve bought this as a Christmas present for my partner for 2 years now and we are never disappointed. Overstock has one of the greatest prices out there, so definitely purchase from them if you’re interested! Great pruct with a good quality. On top of that, deliver was so quick. This one has taken the place of all the others I have ever worn! THE BEST!!! Absolutely, hands down, best smelling cologne ever!! My favorite for the past 5 years. It doesn't get old and I am always complimented on the scent. It will last all day, so no need of having to spray constantly. Great value for the size too. I buy this repeatedly. A very classic feel to this cologne. Yes, this is an original product. "Are these fragrances 100% authentic and new? Is the stock new and fresh? Or old and outdated?" yes,it's authentic,new and chic my hudsband used in the past and I find out I making happiness for him..
"This product is on weekly deals but how come it has the same price of the same kind of brand?"